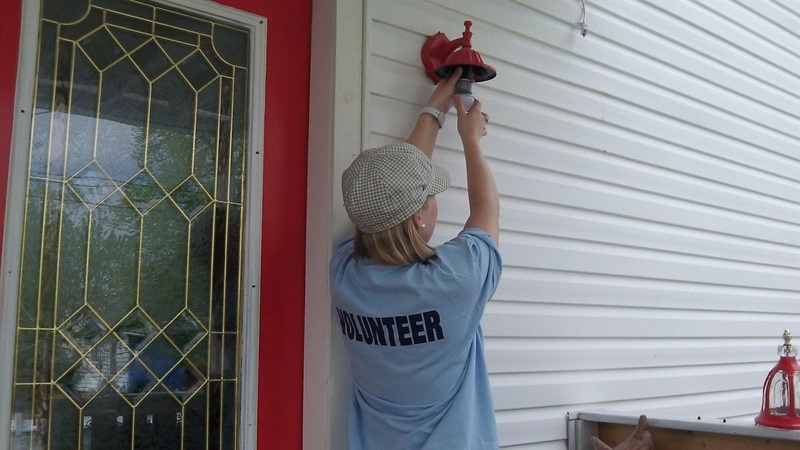 On Saturday April 21 at 10am dozens of volunteers will make their way out onto the streets of Ford City for Porchlight Program. Volunteers will be installing an energy efficient LED light bulb at over 800 properties in the area. The benefits of this project are twofold; it will improve light levels in the neighbourhood at night, residents are being asked to turn on their new porchlight each night from dusk until dawn. The second benefit is that LED bulbs use approximately 0.83cents/yr to operate, a fraction of the cost of other types of bulbs. If you would like to volunteer please come to the Gino & Liz Marcus Community Centre, at 1168 Drouillard, at 10am on Saturday April 21. Volunteers need to be on time to receive a breif traning session before heading out into the neighbourhood to do the installations. Call 519-915-9583 for more information. Thank you to our wonderful sponsors Enwin and the Windsor Essex Community Foundation.